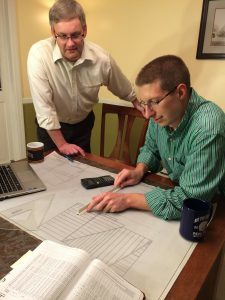 Durst & Taylor Structural Engineering, LLC provides unrivaled structural engineering services to a broad range of clients throughout the mid-Atlantic region. Our clients include architects and other design professionals, owners, contractors, and fabricators. We strive for excellence in everything we do and have built a reputation of exceeding our clients’ expectations. Our goal is to build long-lasting relationships with our clients so that we become their unquestioned engineer of choice. Our staff of engineers have an average of nearly 20 years of experience and collectively hold licenses in the states of Pennsylvania, Maryland, New Jersey, New York, Delaware, Virginia, D.C., West Virginia, Ohio, Tennessee, Kentucky, Mississippi, Georgia, and Florida. All of our engineers maintain NCEES records, which allows us to quickly obtain licensure in other states when required. We’ll go wherever our clients need us. Proudly powered by WordPress | WordPress customization and hosting provided by Cyber Guardian Solutions.